Keep The Change are a three-piece pop/punk band hailing from the West Midlands. Despite only forming in March 2011, the group have supported various up-and-coming artists including Stakeout, We Are Saviours and Page 44. They have also been confirmed to play a set on a Birmingham date of the McBusted tour this May, a great achievement for a band still in its early stages. The EP features five tracks with the first being Danger Girl. A catchy track, it undoubtedly opens the EP in a promising way, putting their sound somewhere between the likes of McFly and Green Day. Second track At The Weekend greatly reflects the outgoing, fun-loving teenagers of the boys' generation with lyrics such as 'I wanna lose my mind at the weekend' being something their fans can relate to. This is certainly a fun punky track, and one for your party playlist. This youthful vibe is seen in next song Summer Love Scene but it is by no means bubblegum pop. The guitars give this track its injection of punk and although it's about summer relationships, the band have successfully steered round cheesy clichés. Coming Home is the EP's penultimate song, and delivers from the offset. The composition once more reminds the listener of a more rocky McFly or Busted, but sometimes distracts from the vocals which are not always entirely distinguishable. Final track It's Not Over starts out on a much softer note than its predecessors. It features Lauren Pryke and the collaboration of male and female vocals gives it a different dynamic. Notably longer than the other tracks at nearly five minutes long, it remains light-hearted and acoustic-driven before the electric riffs burst back into action. The track was a great finish to the EP, showcasing the band's versatility and certainly showing promising signs for future releases. 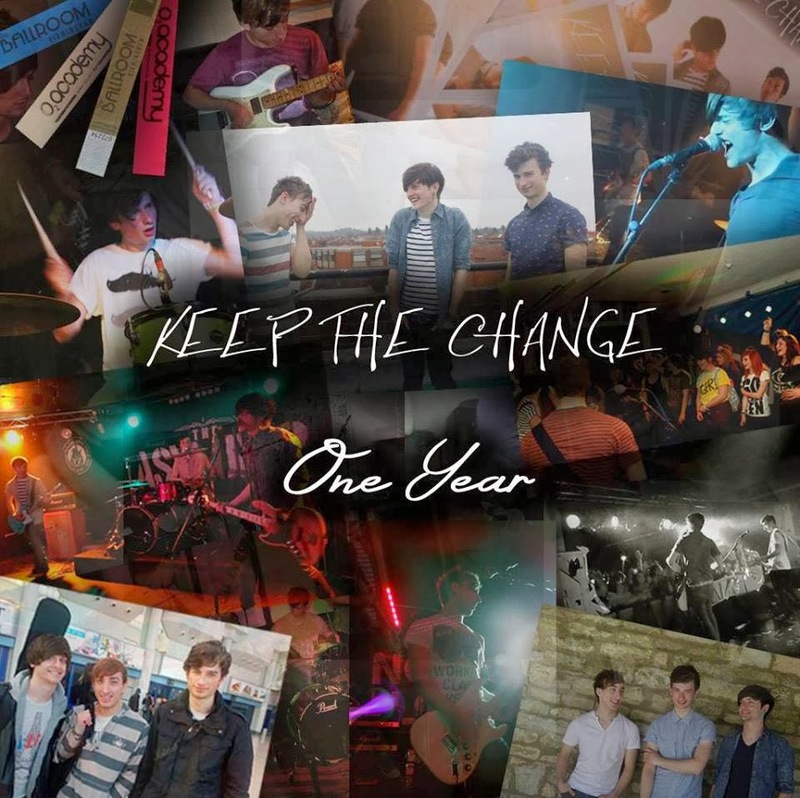 You can download One Year on iTunes by clicking here. Follow Keep The Change on Twitter, as well as Tim, Matt and Will. Subscribe on Youtube and 'Like' on Facebook.